Click on the individual pages above to see them enlarged. Have I Stayed Too Long? They're Coming To Take Me Away Ha-Haa! * Incorrect figure given for last week's position. 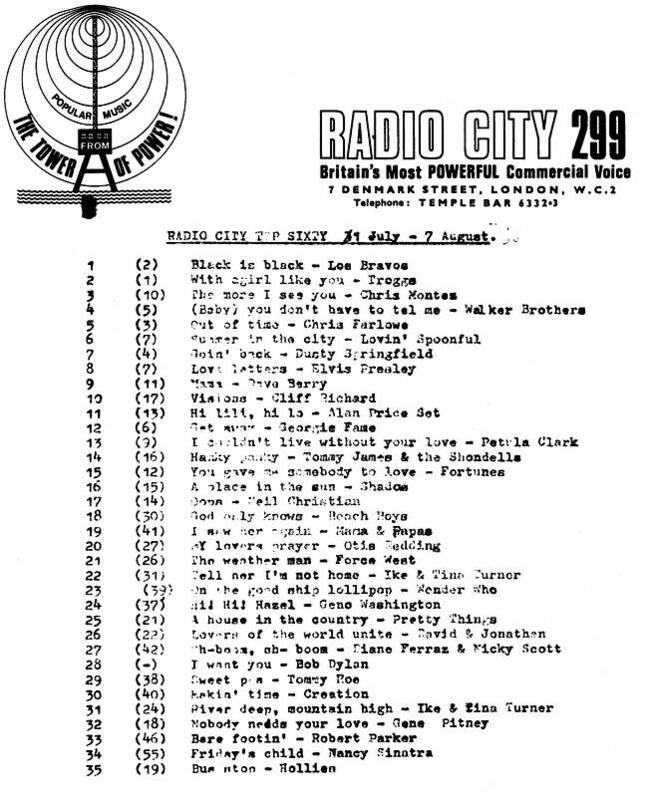 ** The hand-written amendments suggest that it was a late decision to move the Jonathan King version of Just Like A Woman higher up the chart. His name has been added against the Manfred Mann song You Gave Me Somebody To Love. Logic suggests that this was a mistake and it should have been written next to the same group's other song - the rival version of Just Like A Woman. (They share a position on next week's chart.) We think the two versions of the song should be jointly at no.48. 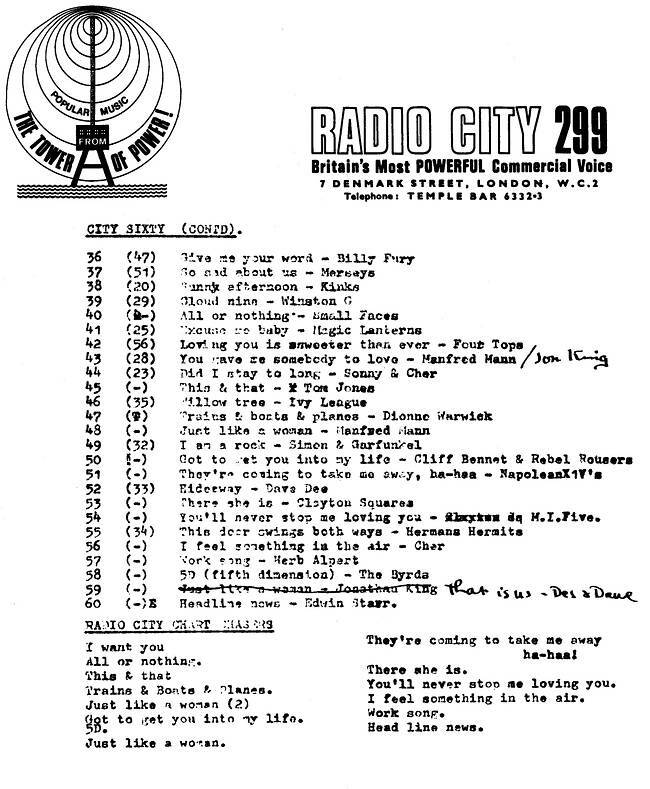 # Radio City Chart Chasers. Our thanks to Brian Long. Swinging Radio England's Boss 40 for this week can be found here. The Radio London Fab 40 and Caroline South Countdown Of Sound for this week can be found on the Radio London website. Next week's chart is here. Back to last week's City Sixty.